Occupational Therapy New Zealand Whakaora Ngangahau Aotearoa - » December OT Insight out now! December OT Insight out now! 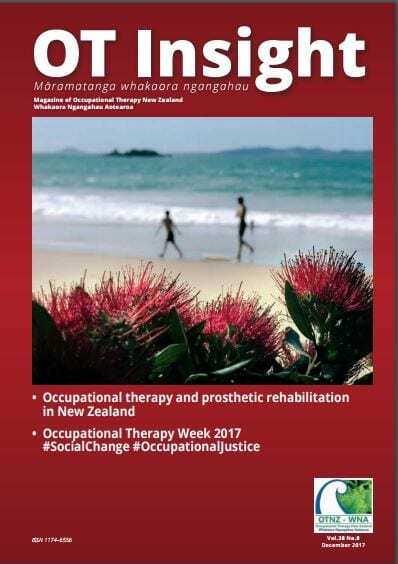 In this December OT Insight we look at Occupational therapy and prosthetic rehabilitation in New Zealand, as well as Occupational Therapy Week 2017 #SocialChange #OccupationalJustice. Enjoy!